I love messing around with these oxide inks! Here I used Fossilised Amber and Iced Spruce and then I embossed it with a clocks folder. Layered the card with brown and gold card, and final layer is a docrafts download paper. I liked the combo! Finally, brown card die cuts which are heat embossed. Here is a card I made with a little help from the Tim Holtz Dostess Oxide Ink Pads. These inks give a wonderfully aged, puddled look. Just swipe and smooch the ink pad onto a clean surface, spritz with water, and pick up the colour onto your card or paper, and heat dry it. Ive used it on the papers and centre piece, and added some Brusho Ink colours to the centre piece. 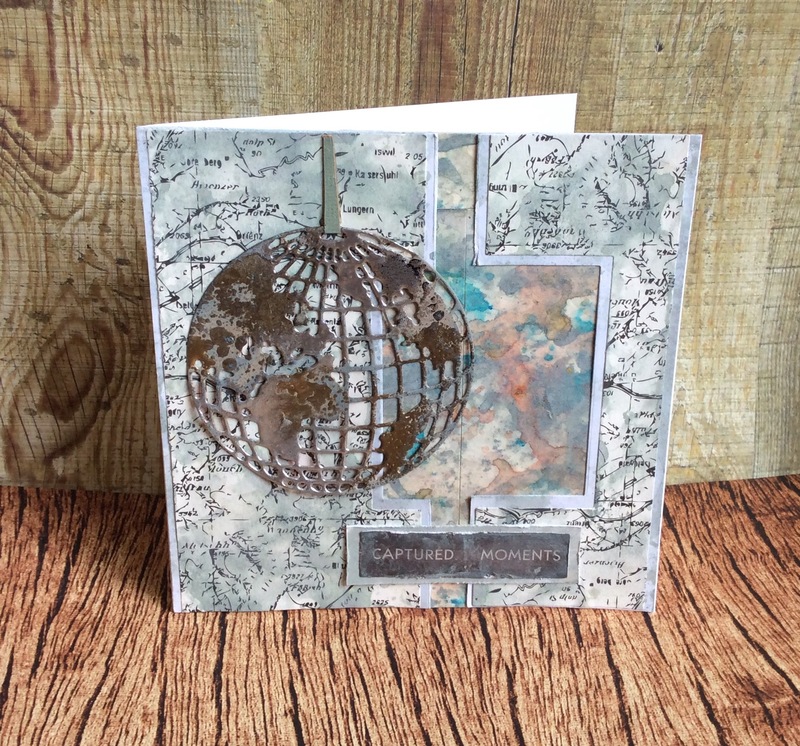 Added a heat embossed Globe die and a message. Cant wait to get some more colours in these inks pads! The map papers are Papermania, cant recall the name of the paper pack! 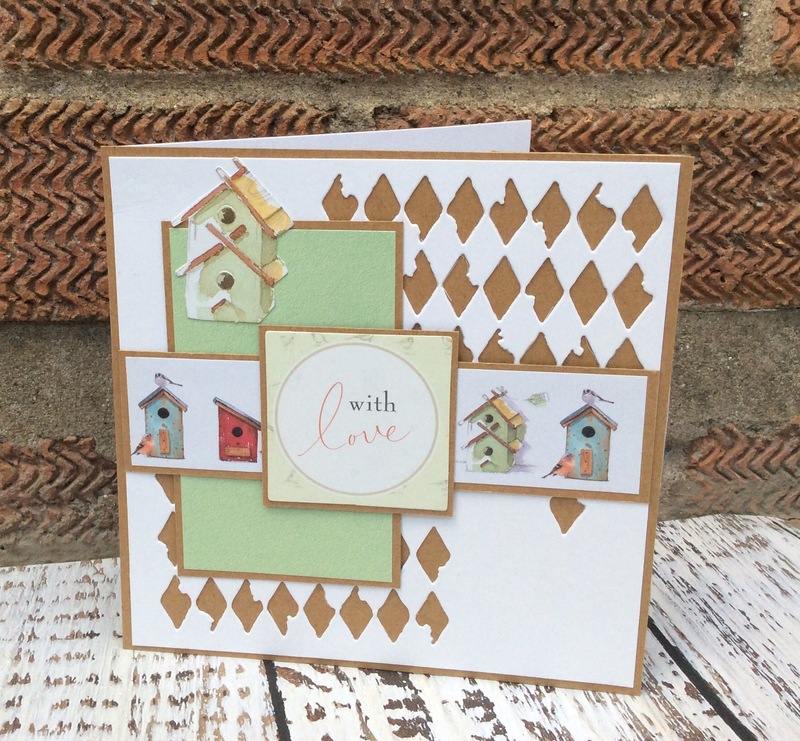 I made this card a few years ago….sold it….reclaimed it after it was used, and re-purposed it! Made with the Papermania Bellisima Range. 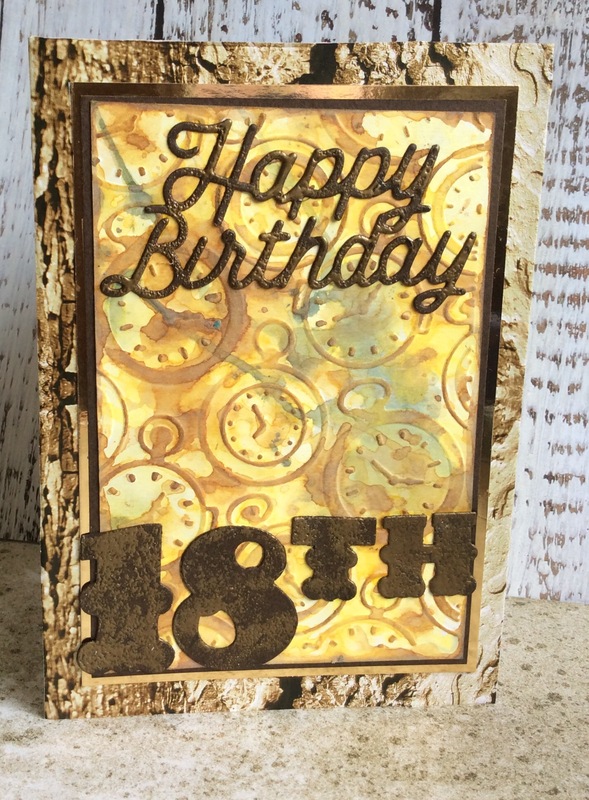 Used Papermania’s Country Life range for this card. The words, paper for Cockerel and backing paper are from this range. The fence and cockerel from stash. Grass Impression Obsession, and the bee hives are Craft Consortium. 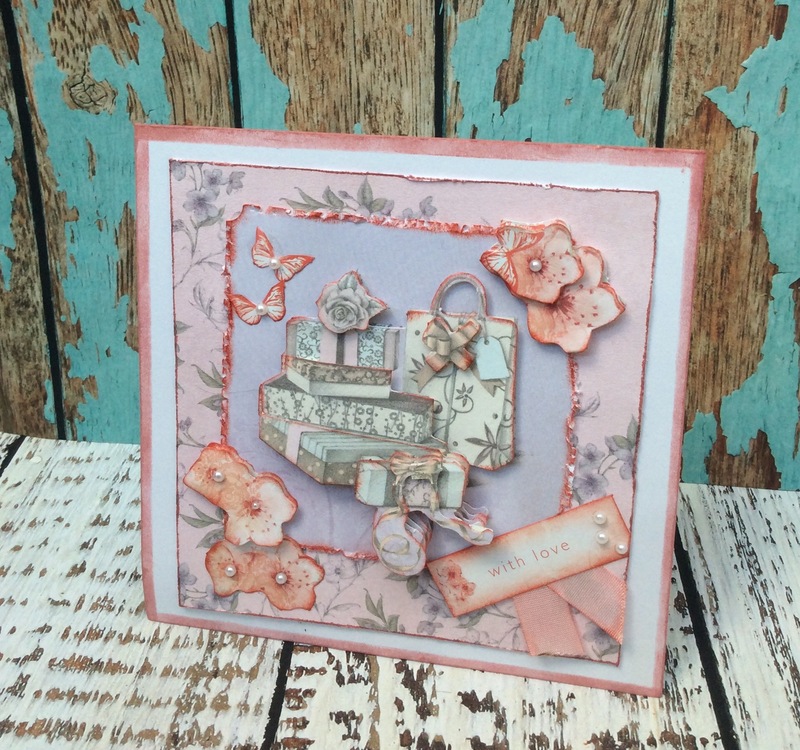 The background was created using Tim Holtz Distress Oxide inks. Im really pleased with how its turned out. 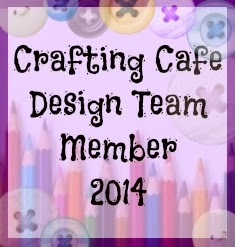 I saw a card by Tracey Poole in docrafts card gallery and liked it so much that I made my own version. 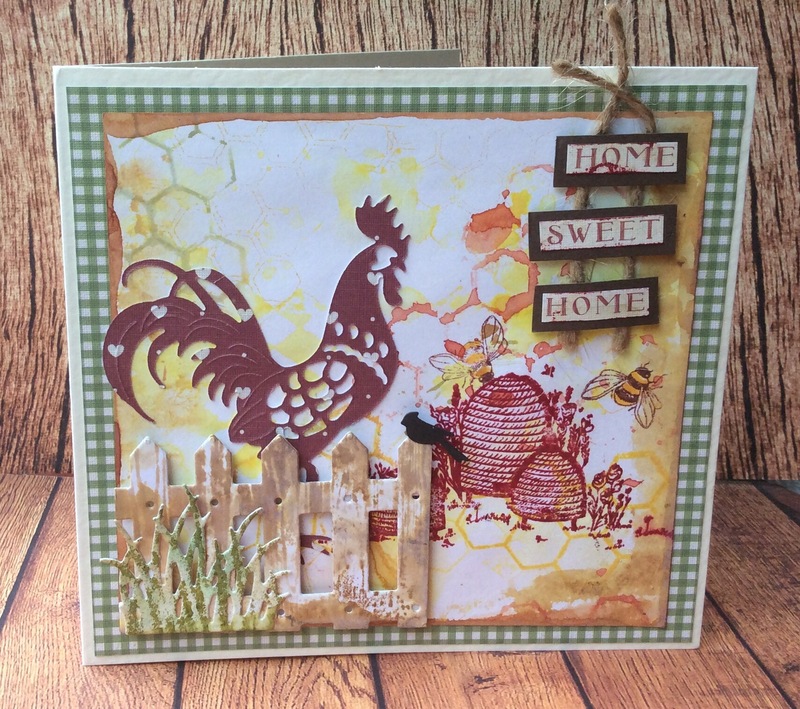 Used the Home to Nest range from Papermania, and Tim Holtz die cuts, and Kraft card.